The tiny island of Iona sits off the west coast of the Isle of Mull in the historic Highlands of Scotland. 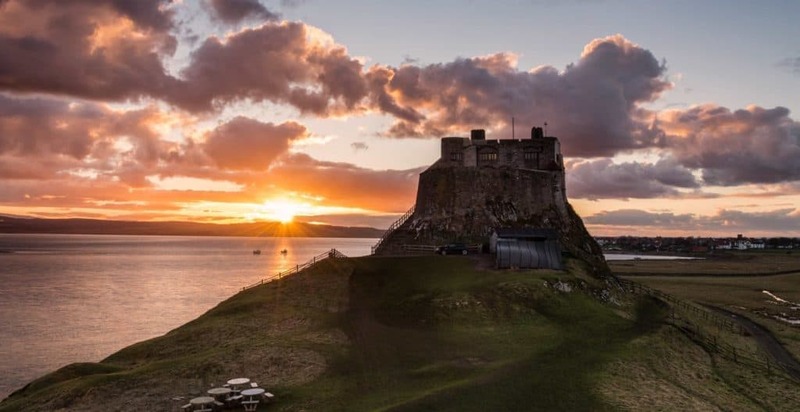 This small isle, just three miles long by one mile wide, had a huge influence on the establishment of Christianity in Scotland, England and throughout mainland Europe. In 563AD the Irish monk St. Columba arrived on the white sandy beaches of Iona with a handful of followers. He built his first Celtic church and established a monastic community on the island. St Columba set about spreading the Christian faith to most of pagan Scotland and northern England. This seat of learning and centre for Christian worship soon became a place of pilgrimage. Over the centuries the learned monks of Iona produced countless elaborate carvings, manuscripts and Celtic crosses. Perhaps their greatest work was the exquisite Book of Kells, which dates from 800 AD and is currently on display in Trinity College, Dublin. However shortly after this in 806 came the first of the Viking raids when many of the monks were slaughtered and their work destroyed. The Celtic Church diminished in size and stature over the years to be replaced by the much larger and stronger Roman Church. Even Iona was not exempt from these changes and in 1203 a nunnery for the Order of the Black Nuns was established and the present-day Benedictine Abbey was built. The Abbey was a victim of the Scottish Reformation and lay in ruins until 1899 when its restoration started. None of St. Columba’s original buildings have survived, however on the left hand side of the Abbey entrance can be seen a small roofed chamber which is claimed to mark the site of the saint’s tomb. Just outside the chapel is the Reilig Odhrain the sacred burial ground of the Scottish kings, said to include Macbeth‘s victim Duncan. Forty-eight kings of Scotland are buried here. The most recent grave is that of John Smith, leader of the British Labour Party from 1992 until his untimely death in 1994. The passenger ferry to Iona departs from the village of Fionnphort on Mull. Before rushing to board the ferry for the short five-minute crossing, a more in depth history of Iona and St. Columba may be gained by a visit to the Historic Scotland museum sited next to village car-park, admission is free. Iona can get quite busy, especially in the summer months, with coachloads of day-trippers visiting the abbey and walking the streets of the only village on the island. Their tight itineraries however, usually prevent them from exploring beyond the village. For a more tranquil experience try the silver beaches on the west of the island, just beyond one of the most scenic golf courses in Scotland. You may have to dodge a few cows on the way though! A longer stay may perhaps better capture the spirit of Iona. As testament to this a dreadlock-haired ‘hippy type’ teenager was overheard describing his experience to his mother in the islands’ public phone box “Its really chilled here…I spent yesterday on the beach just watching the otters play”. Passenger ferry form Fionnphort on the Isle of Mull. Ferries to the Isle of Mull from Oban, Lochaline and Kilchoan on the Ardnamurchan peninsular. Our UK Travel Guide may help with the planning of your journey. This small, windswept island, accessible by causeway at low tide, is one of the holiest sites in England.